Suitable for all Wax Necessities soft wax cartridges and other brands standard cartridges. White durable composite resin exterior and aluminium interior. 40 W heating power with 2 quality heating elements. Wax Necessities WX-C1 Wax Cartridge Heater. 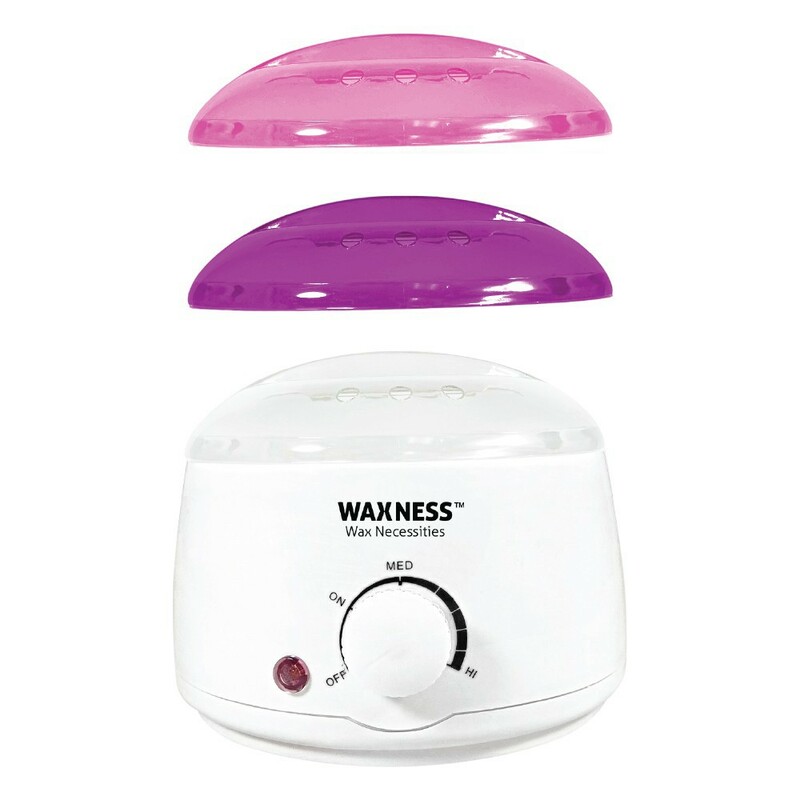 Ideal for use with all Wax Necessities soft wax cartridges, the WX-1C heater offers a simple and reliable service. On the exterior the heater is molded in a highly resistant APS thermoplastic plastic resin. and aluminium is used for the quality inner construction. To prolong the life and elficiency of the warmer, it is recommended a Wax Necessities soft wax cartridge always be inserted into the heating chamber. Never pour wax directly into the heating well. To maintain optimum condition of the heater, clean regularly. Use Wax Necessities Citrus Cleaner for heavy wax residues. Do not use Citrus Cleaner directly on the `Wax Necessities` LOGO printed on the heater. Your warmer has been tested before leaving the factory and is guaranteed against all manufacturing defects, under normal use, for 12 months from date of purchase. If the heater will fail to operate due to defect in material or workmanship, we will repair or replace it with date proof of purchase. Guarantee does not apply to damaged lids or heater resulting from misuse or accident. - Remove the heater lid and place the wax cartridge directly into the heating chamber (We recommend Wax Necessities cartridges). - Plug in the appliance. Red light indicates power is on. - The indicator light will remain illuminated during operation time. Please allow 10-30 min, depending of the ambient temperature until the wax is ready to use. - To ensure the wax has reached a suitable temperature and to avoid loss of proﬁtable working time, it is recommended to plug in the heater approximately one half hour before services begin. - Unplug and cover unit loosely with lid when not in use. Caution: Locking lid tightly may cause lid to break. If lid adheres to melting pot, pre-heat the warmer prior to lid removal to prevent lid from cracking. Recommended Wax Necessities cartridges. A WARNING HEATER AND WAX ARE GETTING HOT. ALWAYS TEST WAX ON A SMALL AREA OF SKIN PRIOR TO APPLICATION. - Always test wax on small area of the skin before application. - Do not touch the metallic surfaces of the warmer. - Unit is hot when in use. Use only on a ﬂat, solid, surface. - Do not plug-in unit where power cord can be tripped on or where cord hangs over edge of working table and can be pulled off. - Do not leave unit on unattended. - If wax begins to smoke, unplug unit immediately and have checked by electrician. - Allow unit to cool before, cleaning or storing. - Do not leave children unattended around working heater. Use unit only for the intended use as described in this booklet. - For best results, also refer to Wax Necessities waxing instructions and instructions on the product package. - Unplug the heater immediately after use. - Do not use in bathrooms or on wet floors and surfaces. - If unit falls into water, unplug immediately. - Do NOT reach Into water. - Never operate heater if it has a damaged power cord or plug if it is not working properly or has been dropped or damaged. - DO not connect more than 3 heaters on an extension cord.